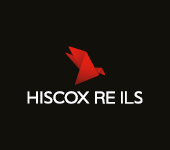 Insurance industry losses from U.S. severe thunderstorms, so including hail and tornado events, are estimated to have reached $3.1 billion by mid-May and are expected to spike sharply higher, given the widespread impacts of extreme weather in recent days. Aon Benfield’s catastrophe modelling centre of expertise Impact Forecasting discussed the severe weather of recent days, particularly in Oklahoma and Texas, in its latest Cat Alert update. The most recent events could add as much as another $1 billion of aggregate insured losses to the total for the year in the U.S., Impact Forecasting expects. Through the first-half of May the U.S. had experienced $4.3 billion of economic losses due to severe thunderstorms. Of that total $3.1 billion is thought to be covered by insurance, so with another potential $1 billion to come from the most recent weather events the insurance industry loss from severe thunderstorms could be closer to $4 billion so far in 2015. On average, according to Impact Forecasting’s figures, severe weather in the United States costs the insurance industry around $11.8 billion. After the extremely slow start to 2015’s U.S. tornado season, the loss run-rate is picking up pace and recent weeks have added billions in economic damages, increasing the toll for insurers and the chance that reinsurance may pick up some of the bill. Impact Forecasting believes that its preliminary estimate of $3.1 billion is likely to “rise sharply” in the coming weeks, both due to recent events and also as claims continue to be filed. Adding to the toll for the insurance industry is the major flooding event that has struck parts of Texas and Oklahoma as well. Triggered by the same severe thunderstorms that spawned tornadoes in recent days, the flooding has caused significant damage. National Flood Insurance Programme (NFIP) statistics show just how much exposure there could be to a major flood event in these states, with 597,591 active policies in Texas amounting to an insured value of $157 billion and another 16,291 active policies with an insured value of $3.1 billion in Oklahoma. However, uptake of NFIP policies is thought to be low in the most affected area, with just 692 NFIP policies active in the most affected region of Hays County, Texas, meaning Impact Forecasting expects a large proportion of the losses will be uninsured. 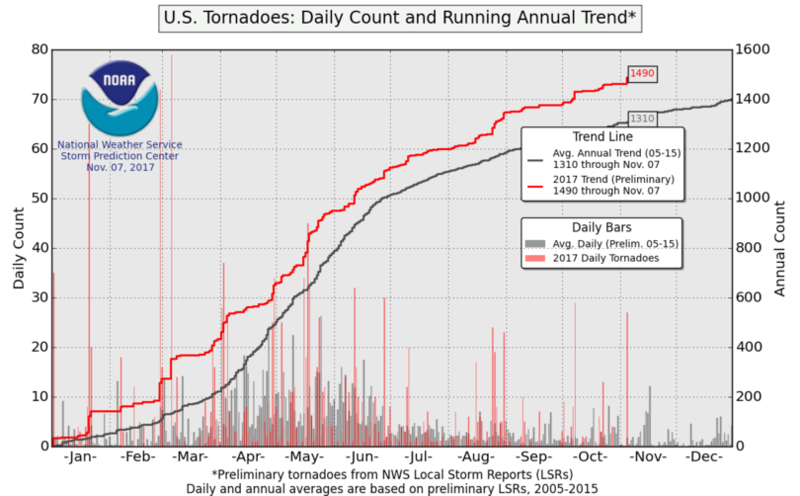 Given the estimate for insured losses from U.S. severe thunderstorms and tornadoes was $2 billion at the start of May, the run-rate seen in April, after the tornado season had sprung to life, seems to be continuing. The levels of loss continue to be manageable for insurers, in most cases without calling on reinsurance protection. But as the season develops and if we continue to see convective storm activity as in recent weeks, that could change very quickly. As you can see from the charts below from the NOAA’s Storm Prediction Center, the run-rate for tornadoes is getting much closer to the long-term average, having begun the year so far below. 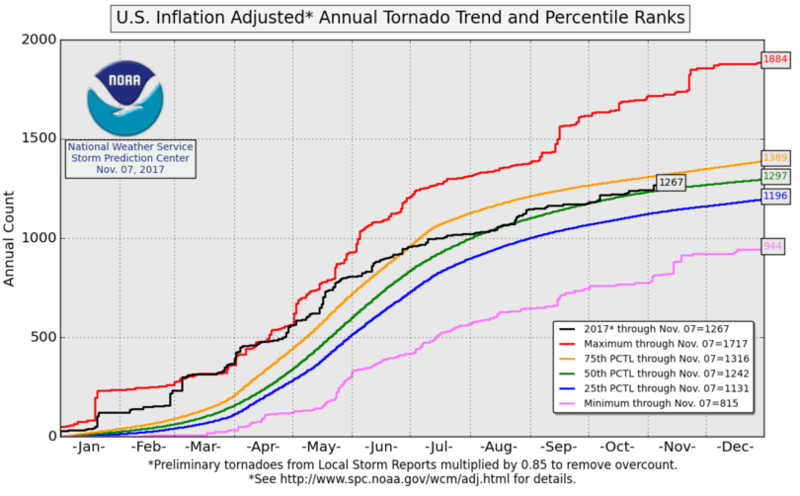 The coming weeks are typically considered the peak of the U.S. tornado season, as the graphs below imply with the steepness of the curve through June. With El Nino conditions forecast to be stronger than expected and the onset more rapid it is possible that the 2015 U.S. tornado season could provide some unwelcome surprises. You can analyse the U.S. tornado season and see forecasts for convective storm outlooks here at Artemis over on our U.S. tornadoes and severe thunderstorms page.